Save time and money when ordering your ready-mixed concrete with this easy-to-use app from the Breedon Group, the UK's largest independent aggregates business. Calculate the exact amount of concrete you require for your footing, base, ramp or steps – even for difficult shapes and dimensions – then check your nearest location using our quick-and-easy postcode finder and contact us directly to place an order. 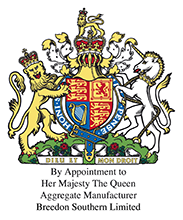 We pride ourselves on providing an outstanding local service to large and small customers in England and Scotland.